Reports from a variety of news outlets and human rights NGOs suggest that China has built as many as 1,200 internment camps for Muslims, housing between 1 and 2 million people. Those who have survived the camps say they have experienced extreme torture, indoctrination, and been forced to work for free. One woman said in her testimony that Chinese police killed one of her triplet infants and repeatedly subjected her to electroshock torture. Others have said they are forced to learn Mandarin, pledge allegiance to Communist Party leader Xi Jinping, and memorize communist songs or go without food. 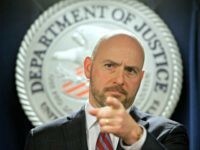 The People’s Daily recap of the Xinjiang tour surfaced little more than a week after the Epoch Times, a U.S.-based newspaper affiliated with the persecuted Falun Gong spiritual movement, revealed that Chinese authorities had begun preparing the camps for international “inspections,” hiding evidence of torture and indoctrination and making them look more like the education centers Beijing alleges they are. According to Chinese state media, which did not quote any of the envoys directly, the representatives were surprised to find that the internment camps were “opposite to some Western media reports” and actually a successful way to combat radical Islamic terrorism and poverty. During their tour, the envoys reportedly witnessed prisoners “learning Putonghua [Mandarin], national laws and regulations, and vocational skills.” Some played ping-pong with the prisoners, the report claims, and watched a dance performance by those interned there. The diplomats there represented the nations of “Russia, Kazakhstan, Kyrgyzstan, Uzbekistan, Tajikistan, India, Pakistan, Indonesia, Malaysia, Afghanistan, Thailand, and Kuwait,” the People’s Daily claimed. 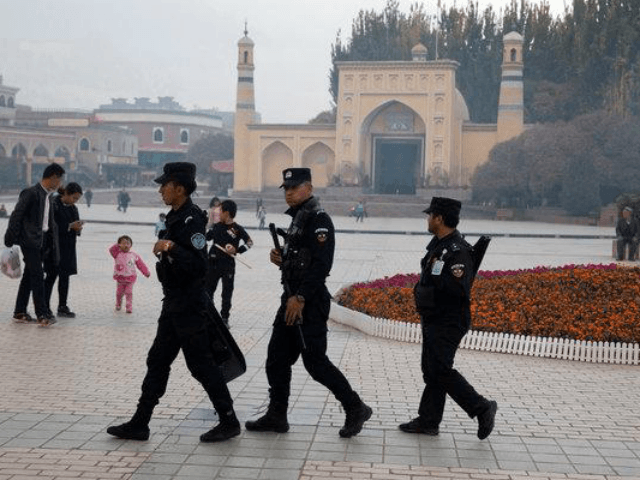 The visits reportedly occurred in December and also included stops in Urumqi, the capital of Xinjiang, which observers have noted has been turned into a near-complete police state with unceasing surveillance of every citizen. China still allows mosques to operate, but has decorated them with large images of Xi Jinping and flooded them with posters carrying pro-communist slogans. Imams must follow a strict regimen in their sermons and teach only loyalty to the Party. The only other reports on the international visit to Xinjiang that have appeared at press time online appear to rely exclusively on the Chinese interpretation of the visit. Beijing appears to have chosen to invite representatives from countries that rely heavily on China’s economic support to survive but, given their large Muslim populations, have begun to feel pressure to condemn China’s abuse of its Muslim citizens. Pakistan, for example, is run by an Islamist government that typically bends to the will of radical Islamic groups who threaten to riot and shut down the nation’s major cities if they disagree with any government policy. Pakistani Muslims, particularly men married to Uighur women who have disappeared into China, have increasingly demanded Islamabad take a stand and support freedom for Muslims in China. Yet Pakistani Prime Minister Imran Khan, who was willing to illegally accept an appeal over a Supreme Court decision to placate Islamists radicals, has refused to stand up for Muslims in China. “I do not know much about the situation. … The Chinese have been extremely helpful to us… I would never talk about it [Uighurs concentration camps] in public,” Khan said when asked about the Uighur internment camps last week. Pakistani Foreign Ministry spokesman Mohammad Faisal similarly said last month, “some section of foreign media are trying to sensationalize the matter by spreading false information,” without addressing the reality. Pakistan’s government is economically destitute and has largely relied on China incorporating it into its predatory Belt and Road Initiative (BRI) for cash on hand. Similarly, Indonesia has seen protests attracting thousands of Muslims calling for their government to challenge China on its abuse of Muslims. In December, Jakarta saw about 1,000 people, organized by local Islamic groups, congregate outside of the Chinese embassy in the capital demanding freedom for Uighurs and other Chinese Muslims, chanting slogans like “stop violence and oppression against Uyghurs” and “get rid of communists from Indonesia,” according to Radio Free Asia (RFA). In Kazakhstan and Kyrgyzstan, Muslim countries whose ethnic relatives in China have been swept into camps along with Uighurs, groups have also demanded action, particularly those who have experienced the disappearances of loved ones into Xinjiang. To placate the concern, China has let about 2,000 ethnic Kazakhs move to Kazakhstan.